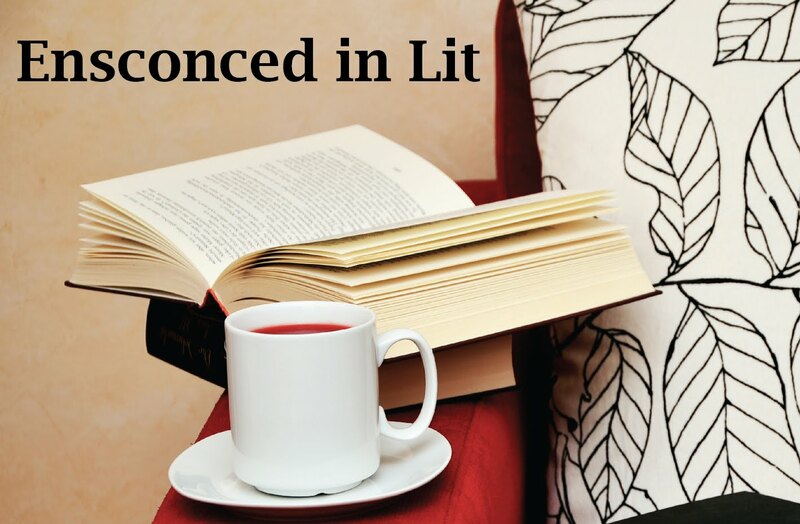 Ensconced in Lit: Contest: Which YA author do you want me to interview? Contest: Which YA author do you want me to interview? I got a message from one of my new readers about wanting me to interview a particular author. I think that's a terrific idea, but wanted to offer this to all of my loyal readers as the very first contest that I am hosting on this blog. Just answer the question below in the comments section of this post. Question: Which YA author have I not interviewed that you would love to have me interview and why should I interview that author? Some caveats: some authors do not do interviews or do not agree to do an interview with me. But my stats are pretty darn good-- I get a "Yes" from about 90% of authors that I ask. If that happens, the winner can select another author. BONUS: You get to ask them 3 questions! Have fun and have a happy new year! Thank you for this fantastic oportunity! With the new film release based on book 1 coming out this February, and with a series to rival many other top titles within the Young Adult genre i would have to say 'Beautiful Creatures' (the castor chronicles) is my pick. The authors Kami Garcia and Margaret Stohl are amazing, and an interview with either i certainly think would be of much interest to many readers. An interview would be most insightful, including for those who have possibly not read the books as yet but the film of book 1 has captured their attention. Lucinda: Your choice is excellent and possibly doable. I'll read Beautiful Creatures and see if it's possible to interview Kami Garcia or Margaret Stohl. Great choice but she doesn't have a contact address. I'll keep looking. I'd love to review Veronica Roth of the Divergent Series. She's one of my favorite author and unless I forgot something, she hasn't been interviewed by you. I know you love her too because I've seen your other posts about her, so I don't think you'd be opposed to interviewing her. Things that make her a great author is the fact that she writes with elegance and great interest. There isn't anything strange about her writing style and it's very easy to follow. It's also relaxed and from it, I can guess she's a really down to earth kind of person. Divergent is a good book because it focuses on virtues rather than just bland fighting. There's a purpose for everything that's done and I love how not everything is in the favor of the good guys. Some stories have too much serendipity and that kind of bothers me. Divergent, which I hope you can agree, is one of those books that you really don't find easily. Veronica Roth doesn't do interviews on blogs (I guess that's what happens when you become as big as she does), unfortunately. Hi. I've just met you, but I'll be sure to follow your blog (one of the nice places I've found thanks to Goodreads). Thanks for this opportunity to help pick the author you are going to interview. I sahre with Nova (lee) my wish for you to interview Veronica Roth. I've read both her books and I think she's a great writer, and with a lot of "getting even better at it" potential because she's only 24! I've visited her site and she strikes me as a really sensitive and kind person as well. Paraphrasing Nora (lee), The Divergent series are one of those YA works which quality in writing and ideas one doesn't frequently come across. Ok guys, you really make my job tough. All of these authors/books are great but they are also some of the hardest to get to interview. What I'm going to do is try for all of them after I read books and I'll let you know if I get in contact with them. Thank you so much for the three wonderful suggestions and entering this contest!